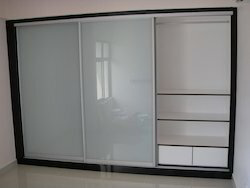 Manufacturer and Supplier of Aluminium Sliding Cupboard. Our product range also comprises of Aluminium Ladders, Polycarbonate Canopy and Fall Ceilings. By keeping track of current market development, we are offering an excellent range of Aluminium Sliding Cupboard. The offered Aluminium Sliding Cupboard is designed by our adept professionals by making use of superior quality aluminium and innovative technology. Widely appreciated for its high reliability and cost-effectiveness, we provide this Aluminium Sliding Cupboard in different attractive designs and sizes as per the needs of our clients.